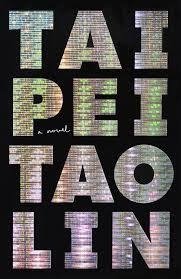 Claustrophobic is one word that accurately sums up the experience of reading Tao Lin’s most recent novel, Taipei. Living between its pages is like existing within the consciousness of the protagonist, Paul. At times, the book is hard to read – not because of any flaw in the prose, but because of the unsettling amount of detail included. The reader exists with another self who, in the words of Lin, “passively continue[s] with his ongoing sensory perception of concrete reality.” We see everything. And that everything isn’t very exciting. Paul lives in New York City, attends house parties and readings in Williamsburg, daily ingests large amounts of both prescription and illicit drugs and visits his parents in Taipei, Taiwan every year. You may have none of those things in common with him, but Taipei doesn’t rely on the reader identifying with Paul in any of the particulars. What we all share with him is the tedium of existence. Life isn’t a grand adventure. It consists of the everyday, the mundane, the routine. Lin doesn’t give us an escape; he forces us to stand face-to-face with what it means to live. The novel is a memento mori of sorts. There’s no beautiful narrative arc – it’s just life. Lin writes, “At a certain age, he remembered, he had often lain motionless on carpet, or a sofa, feeling what he probably viewed, at the time, as boredom and what now seemed like ignorance of – or passive disbelief in – his forthcoming death….Paul intuited that if he were immortal, or believed he was, he might feel what he’d felt as a child, which seemed less enjoyable than obscurely unsatisfying, something he’d want to be distracted from feeling.” For Paul, the idea that there might not be an end to this life, regardless of what might come after, is far more debilitating than the knowledge of his own mortality. Most of us define our lives by the high points – graduations, job offers, weddings, births, etc. Everything else is a sort of filler between those treasured moments. And that’s a hard way to live. Each day in itself has value only insofar as it promises to lead to future significance. A new generation of authors, epitomized by Lin and Knausgaard, reminds us that every single day is important. We’re only alive for a short time, so we ought to look for the good in the existence that we have.